CENTRAL PARK GARDENS TENANTS' ASSOCIATION: Heating Season has Begun! 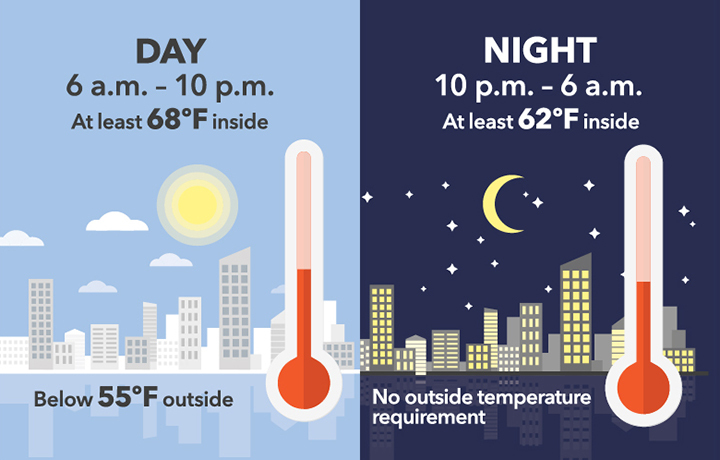 DAYS: Between 6 AM and 10 PM, the outside temperature is below 56 degrees F and the temperature in your apartment is less than 68. IF Stellar still does not provide legally adequate heat, call 311. Email the complaint reference number to Sue.